 We at BMW of Stratham know how important your vehicle is to you and your schedule. In order to get where you need to go, your vehicle needs to be running properly. Maintaining your vehicle is easy if you keep up with regularly scheduled services like oil changes. On this page, you’ll be able to learn more about getting an oil change near me. On top of that, you can learn a little more about who we are and the other services we’re pride to provide to our customers in Stratham, Exeter, and Portsmouth! Since oil changes are integral to the functionality of your vehicle, you want it to be in the best of hands no matter what service it’s undergoing. Even with something as small and routine as an oil change, you can count on our team of expertly trained technicians. If our technicians get under the hood and find that you need additional services or part replacements, no problem! They’ll get everything back in working order with top quality OEM parts. We Take Care Of You, Too! We know our customers have busy lives and we do everything we can to accommodate your schedule. When you bring your vehicle in to us, we won’t just take care of your vehicle – we have you covered, too, with a variety of amenities that will keep you on track. If you choose to stay at our facility while your vehicle is being worked on, take advantage of our complimentary Wi-Fi and private workstations. If you can’t wait and need to be somewhere, we’ll get you there with our courtesy shuttle. Get Your Oil Changed Today! Now that you have a better idea of how we can take care of both you and your vehicle, we hope you’re ready to come down and get your oil changed with us! You can schedule your oil change, or any other maintenance services, by giving us a call at BMW of Stratham today. You can also schedule a service appointment on our website by visiting the Service & Parts tab!